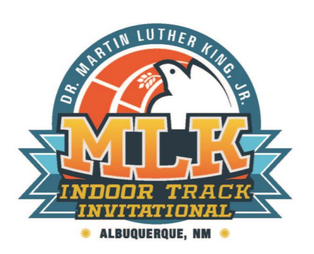 Some short distance racing to kick-off the 2019 Indoor season at Albuquerque, NM. To start the season, coach had a special plan this year: He took me New Mexico, were I was racing the Mile and 800m within only 90 minutes. This would give me some race practice and after several long cross country races it was a good way to get my body adapted on faster paces. Over the mile, I took the lead after the first lap but got passed by one of the competitors in the middle of the race. In the last lap, two other runners passed me and I ended up in 4th position, running 4:23. After a short break I was ready to run my second race. My heat consisted only out of 3 athletes, and with one guy running the first lap in 25 seconds ( I split 29 seconds), the race was decided early. In the last lap, I lost a little bit on my pace and finished in 2:00.36 and just fell short of breaking 2. Looking at the times, I ran today, this weekend was obviously not extraordinary but this race was mainly seen as a test and following that I am satisfied. After a long cross country season, my training break was later than usual and following that I had just a few weeks of training in my legs and just started working out on the track. In addition, this week was definitely the hardest since I am back in training. After this tempo test, I should be ready to run my first 3000m of the season, which will take place in Lubbock TX.